In the weeks after Iraqi troops stormed a camp of Iranian exiles, signaling a shift away from the U.S., Raymond Tanter says Washington is making a big mistake by not taking the dissident group off its terrorist list. A four-month siege by Iraqi forces at the behest of Tehran escalated tragically recently when Iraqi police invaded Camp Ashraf, Iraq, home of the Mujahedeen-e Khalq, the Iranian dissident group better known as the MEK. In the invasion of Ashraf and its aftermath, at least 9 Iranian oppositionists were killed and several hundred injured. Some 36 MEK leaders have disappeared, and international humanitarian organizations fear they may be extradited to Iran to face torture and execution. The Iranian dissident groups have been the most reliable source of intelligence for the West on Iran’s nuclear program. The group in question has a long and controversial history, making the raid a political hotbed. MEK is officially on the U.S. terrorist list. However, some American politicians, including Senator Sam Brownback (R-KS), say the group is America’s best hope for countering the regime—and they’re right. In the past, the U.S. military has played a monitoring role over these Iranian dissidents in Iraq, giving them “protected persons” status under the Fourth Geneva Convention. As the U.S. prepared to pass the baton of security responsibilities to Iraq at the end of 2008, Baghdad actually put that promise in writing for the Ashraf residents. Following my October 2008 trip to Iraq to interview Iraqis about Iranian dissidents there, Ali Al-Dabbagh, spokesman for the Iraqi prime minister’s office, again assured me of that fact, but the violence against Iranian civilians continues. In addition, the then-national security adviser for the government of Iraq reaffirmed that commitment to me privately in January, contrary to his public comments about dispersing the rank and file and possibly extraditing the leaders. The Iranian press and senior officials are congratulating Baghdad for the raid. “Even though it is rather late, the action by the Iraqi government is praiseworthy,” said Ari Larijani, the speaker of Iran’s parliament. One can only infer that collusion between Baghdad and Tehran is behind the crackdown. This apparent warming of relations between the countries makes it all the more important for the U.S. to remove the MEK from the terrorist list. The MEK and the Iranian parliament in exile, the National Council of Resistance of Iran (NCRI), of which the MEK is the largest member, were added to the State Department’s Foreign Terrorist Organizations list in 1997 as a favor to the newly elected Iranian president Mohammad Khatami. He was mistakenly believed to be a moderate interested in engagement with the West. Despite getting nothing in return from Khatami for the blacklisting of the MEK and the NCRI, State gave the terrorist tag to the NCRI-US in 2003, at the specific request of Tehran. How to justify a politically motivated terrorist listing? Resuscitate 20-year-old allegations about the killing of five U.S. defense contractors and military personnel in Tehran during the mid-1970s. My colleagues and I conducted an extensive investigation of the killings and found that in August 1971, a massive and well-planned assault by the shah’s security services succeeded in arresting 69 members of the MEK. Additional arrests and executions followed in May 1972, which practically shattered the organization. Bloody infighting within the organization followed, which resulted in a sharp turn away from the philosophy and strategy of the imprisoned MEK leadership and other members. This breakaway by a few individuals constituted a hijacking of the MEK identity and purpose. Even the 2005 edition of the U.S. State Department Country Reports on Terrorism recognized that a Marxist element of the MEK murdered several of the shah’s U.S. security advisers prior to the Islamic revolution. Putting aside what happened during the ‘70s, in 2007 the U.K. removed the MEK from its terrorist list, saying there was no evidence that the group’s policies and activities had changed significantly. Despite, or perhaps because of, a lack of evidence of terrorist capability, the State Department and the Iranian regime rely on other, non-terrorism smears to deride the MEK and NCRI, calling the groups Marxist-Islamist cults, for instance. We also examined in Farsi some official publications of the NCRI and MEK, and found that their only “cultish” commitment is to democracy: separation of mosque and state; abolishment of discrimination; freedom of expression and belief; guarantees for freedom of the press and political parties; security for all citizens as expressed in the Universal Declaration of Human Rights; an electoral process with universal suffrage; and equality for women and minorities. Not only is the National Council of Resistance of Iran democratic in how it chooses leaders, many Mujahedeen-e Khalq and NCRI leaders are women. And contrary to supposedly former MEK members who “confess” about MEK human-rights violations upon returning to Iran, we found that the MEK actually offers financial and other assistance for those members wishing to leave the group. The Iranian dissident groups have also been the most reliable source of intelligence for the West on Iran’s nuclear program. In 2002, the NCRI revealed the existence of Iran’s gas centrifuge enrichment complex at Natanz. Its revelations proved to be vital in bringing American foreign policy to a more up-to-date assessment of the Iranian threat. The NCRI revealed in November 2004 that while the Lavizan-Shian weaponization site had been closed in 2003 and examined by the International Atomic Energy Agency, a new site, Lavizan II was opened to continue weaponization work. Unlike the Iraqi National Congress, which was a creation of the U.S. government, had few roots in Iraq, and sold the United States harmful intelligence, the MEK and NCRI are independent of the United States, have an intelligence network in Iran, and have had their revelations verified by IAEA inspections. Ultimately, what’s at issue is what will become of MEK members at Camp Ashraf. During my 2008 fact-finding mission to Iraq, both Sunni and Shiite Arab leaders told me they feared an assault by Iraqi Security Forces on the unarmed Iranian dissidents in Iraq. Iraqis stated that if the people of Ashraf are harmed by Baghdad, it will be to serve the interests of Tehran. Unfortunately, their fears have been realized, and in the process the United States is losing its Iraqi ally as Baghdad drifts into Tehran’s orbit. 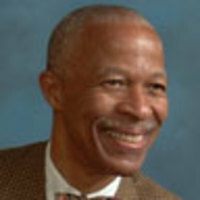 Professor Raymond Tanter is president of the Iran Policy Committee. He was a member of the National Security Council staff and personal representative of the secretary of Defense in the Reagan-Bush administration. He taught six times at the Hebrew University of Jerusalem. His latest book is President Obama and Iraq: Toward a Responsible Troop Drawdown, 2009 .